I'm Curious Too: Plants Get Cancer, Too. But They Don't Care. It knows no boundaries, age, color, gender, and it can hit at anyone at anytime on any part of the body--nose; throat; lungs--regardless of one's lifestyle or daily habits, though smokers and obese people do have higher chances of contracting cancer. And it has no cure. And animals get cancer, too. 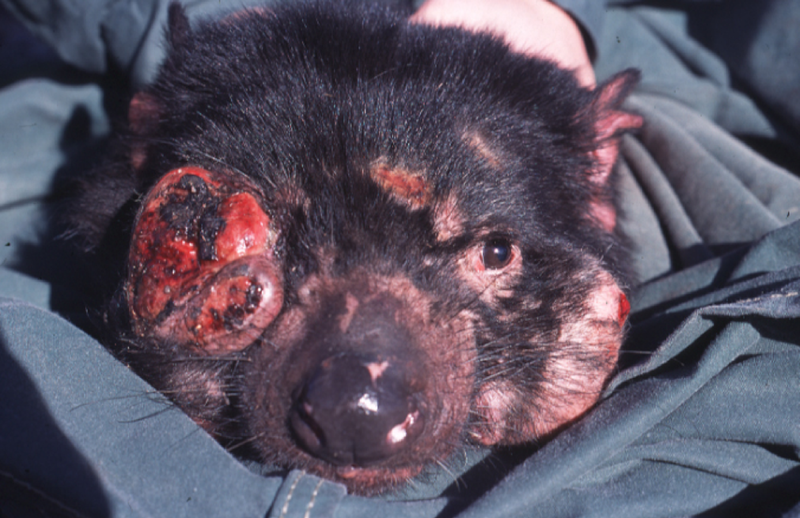 The Devil Facial Tumor Disease (DFTD) has been decimating Tasmanian Devils population since 1996, and we've seen facial tumours in dogs, cats and horses as well. And then there's plant. Yes. Plants get cancer, too. You may wonder why do plants get cancer, right? It's so unfair for them to contract the life-threatening disease. After all they're just standing there doing their harmless business of turning sunlight into energy. They rarely ever hurt anyone and they don't annoy other trees people by exhaling second-hand smoke and they don't consume fatty food. Why oh why? But wait. Yes, plants do get cancer, but it's not like the cancer you see in animals. Well, despite harbouring cancerous tumour plants are less vulnerable to its deadly effect. For instance a plant tumour wont metastasize (layman's term: spread) because the cells are locked in place by a matrix of rigid cell walls. And even when the cells begins dividing relentlessly the tumour will remain in the same place. It can't migrate like human tumours and hence not as fatal as cancer in animals. And for humans it's unimaginable to know you have a tumour embedded in your throat; lungs; or brain, we just can't survive without those organs. But plants lack such organs. And trees don't die when you break one of their branches. So plants don't really care when they get cancer.